Mary became a Physician Assistant in 2015, earning her degree from the University of Nebraska Medical Center in December 2014. 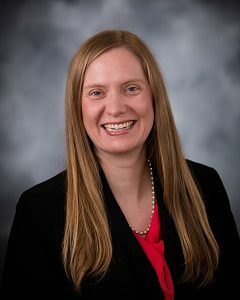 Mary joined Nebraska Pulmonary Specialties in the spring of 2015, working closely with Dr. John Trapp in outpatient Pulmonary and Sleep medicine. She and her spouse, Aaron, enjoy raising their two children, Ashton and Avalyn.